Vanessa Strickland - Actor/Artist/Puppeteer: Glass Menagerie: Closing Weekend! …the cast really shines in its portrayal of juxtaposed themes and emotions, revealing the complexity of the human condition." 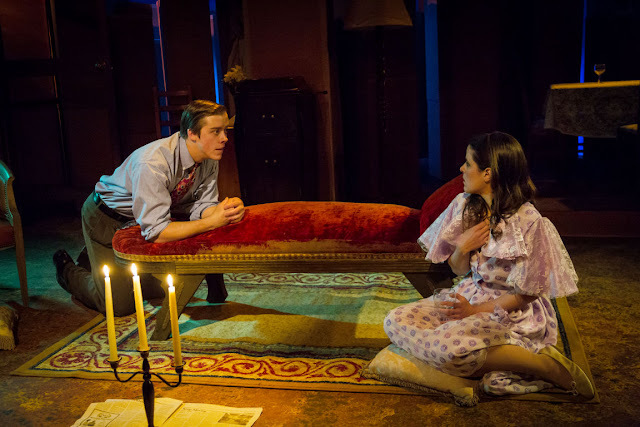 -Erik Anderson, Maryland Theatre Guide, named Glass Menagerie as a "Top 5 Show of the Week"
MET’s The Glass Menagerie is beautifully acted and directed and filled with hope, heartbreak, and yearning. Don’t miss it!"